Leeroy New (b. 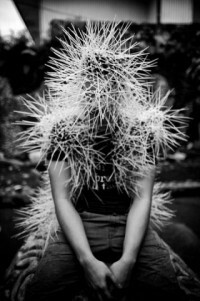 1986, General Santos City) is an artist-designer whose practice overlaps and intersects with film, theater, product design, and fashion. Originally trained as a sculptor, he tried everything from production design for film, to working with fashion designers, to creating 3D mock ups for commercial purposes. He was able to integrate this inclination to move from one mode of creative production to another as the spine of his creative practice. 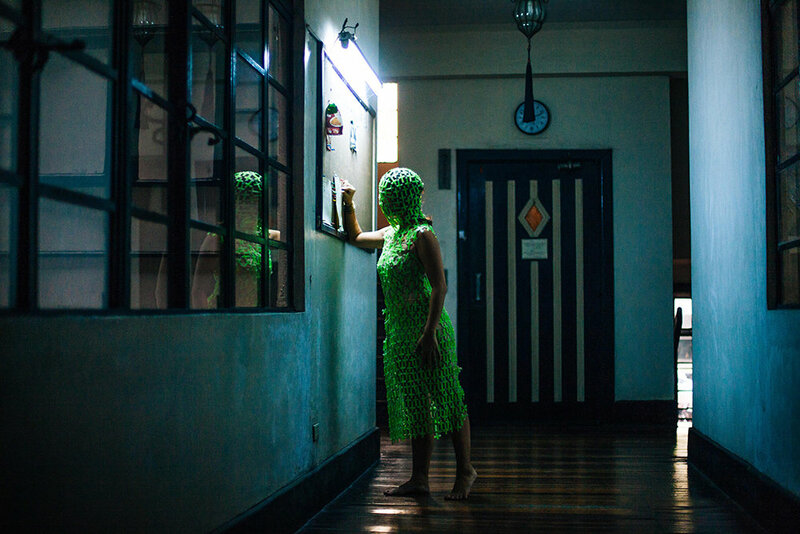 As a response to the issue of art and art practitioners’ (in)visibility in the Philippines, New decided early on that cultivating a language for large scale public art was the challenge he had to take on. Through his persistence, despite the initially limited support and resources, what resulted were immersive installations that use a variety of found objects directly sourced from the immediate material culture of his current environment. His Balete series, for example, using industrial pipes weaved using plastic ties (cable ties) into large-scale forms and environments, began as a casual experiment during a residency in Bendigo, Australia where he discovered piles of discarded irrigation hoses in the local recycling centers. In the Paoay Sand Dunes of Northern Philippines, he collaborated with the local government to transform massive discards of the community, like water tanks and cement fountains, into a post-apocalyptic sculpture park along with a giant spaceship made from locally sourced bamboo. 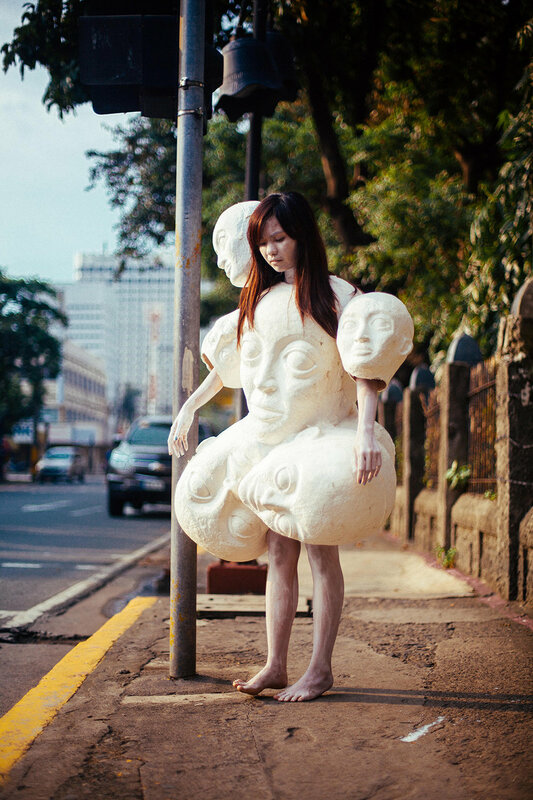 Through his collaborations with local performance artists, he was able to transform these same materials into set pieces and even wearable sculptures culminating in a cyber-site series called Aliens of Manila, which documents alien characters inhabiting Manila’s often harsh yet colorful streets. 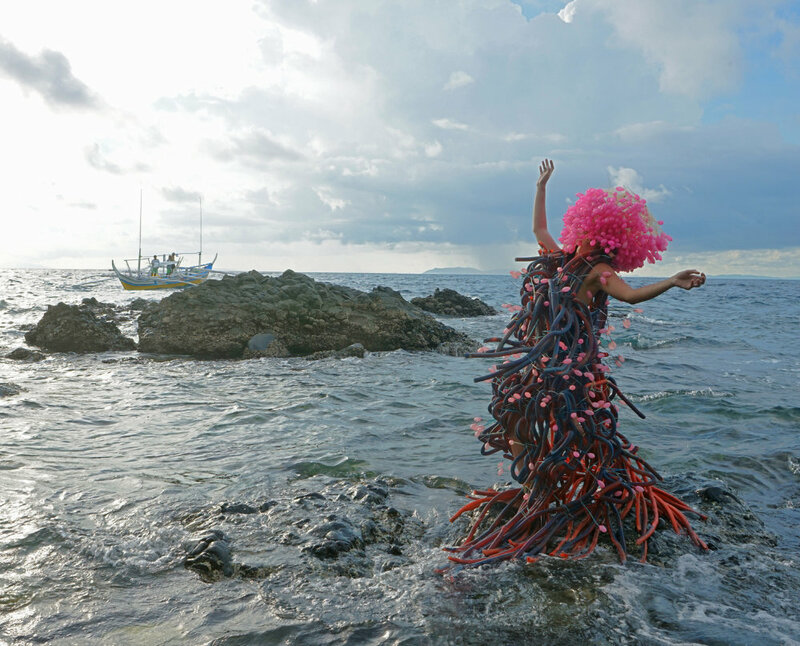 His most recent project, a floating performance space/garden, a collaboration with urban designer Julia Nebrija and funded by the Burning Man Global Arts Grant, was floated down Manila’s central and most polluted waterway: the Pasig River. The mobile installation is the first phase for this long-term project that explores ecological heritage and challenges local perspectives of urban space, and revives the Pasig River as public space, transport corridor, and sustainable environment through creative intervention.